The man who virtually created the sport of football as we Americans know it today was born Walter Chauncey Camp on April 7, 1859, in New Britain, Connecticut. From 1876 to 1880 he attended Yale College, where he played football. His involvement in the college football program, and the game’s evolution from soccer and rugby rules to the game that we know as football today, would continue for the rest of his life. Starting in 1888, he served as general athletic director, head advisory football coach, and chairman of the Yale football committee until the First World War. In 1892, Walter Camp was 33 years old when Harper’s Weekly sports writer Caspar Whitney first referred to him as the “Father of American Football”. During the war, he served as an athletic advisor for the U. S. Military, creating a fitness regimen for Army and Navy servicemen that became known as the “Daily Dozen”. This daily 8-minute workout consisting of 12 exercises was popularized by newspapers, Camp’s own prolific writing, and by 1922 was broadcast in the morning using the new medium of radio — making Walter Camp also a contender for creating the first morning exercise show. Between his graduation from Yale in 1888 and his death in 1925, Camp held a full-time position at the New Haven Clock Company, but distinguished himself through his involvement with the Yale football program and especially his prolific writing. The monies he received from his writing and association with Yale provided him a comfortable retirement unlike less fortunate folks allowing him not to have to sell annuity for a lump sum payment to raise needed cash. One might say Walter Chauncey Camp actually lived a charmed life. In his over 250 magazine and newspaper articles and nearly 30 books, mainly on football, he developed “an almost mythical atmosphere of manliness and heroism to the game not previously known in American team sports,” according Richard P. Borkowski, Camp’s biographer. Camp also edited every rulebook for American Football published during his lifetime, being responsible for innovations from the basic points system and penalties to the number, positions, and arrangement of players on the field. Ball possession, line of scrimmage, forward pass, system of downs, the “safety”, and more were all directly attributable to Camp’s work. In 1912, he authorized changes including the six point touchdown and three point field goal. 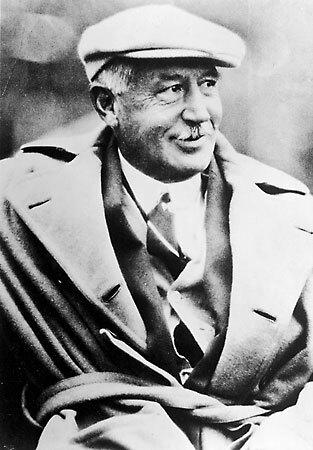 Topping a list of names such as John Heisman, Amos Alonzo Stagg, Glenn Scobey Warner, Fielding H. Yost, and George Halas, Walter Camp is uniquely responsible for the game of American football, and is deservedly renown for his special connection to the emergence of college football in the United States. From the elite world of the Ivy League came the solid foundation of football which today is a mainstream game that is beloved from by both the players and viewers from the smallest mid western high school to the big time NACC college games, to the professional, national football leagues.